Ring News 24Boxing News Breaking Boxing NewsDoes Callum Smith need a KO in Germany? 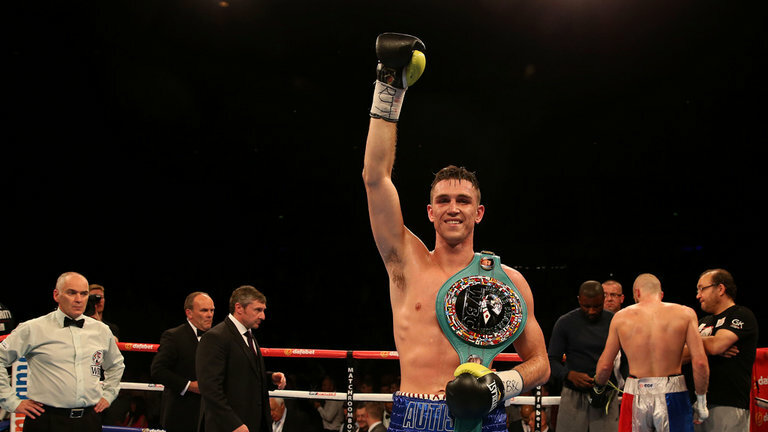 Callum Smith broke through to the final of the WBSS after beating Nieky Holzken. Whenever a fighter travels to Germany the general consensus seems to dictate that if he does not knock the home fighter out then he will get “jobbed” on the cards. This may have been the case in recent years and I can remember some shockers, like Lolenga Mock totally outboxing Kai Kurzawa for 10 rounds before losing on all three cards, or Robin Reid getting reprimanded by referee Roger Tilleman for literally landing a punch on one of the most protected German species ever – Sven Ottke. However, I don’t view Germany as quite representing the no-go area it once was perceived to be. Indeed, some questionable decisions on British shores make me wonder whether the problem is more widespread. On February 24, Liverpool’s Callum ‘Mundo’ Smith travels to Nuremberg to take on Juergen Braehmer in their World Boxing Super Series (WBSS) semi-final. I don’t believe that Callum Smith needs a knockout to win this fight. For the record I do believe he will stop Braehmer, or more accurately Braehmer will fold, tire, quit or all of the above, so the win should be guaranteed either way. If the wily old fox Braehmer can last the course I think three neutral judges, with the eyes of the world on them, will come to the correct conclusion. Smith will physically be a lot bigger than his German opponent and should be able to use his jab and size advantages to nullify Braehmer’s threats. I picked Rob Brant to beat Juergen in their preceding quarter-final and the German showed all of his ring savvy and experience to defeat the younger American. My love for Brant came more out of the perceived decline of Braehmer than anything Brant had shown in his previous fights and experience won over on the night. Judging from the eye test, Smith hits harder and is more skilled than Brant so he should be able to cope with Brahmer’s angles and movement more effectively. Smith’s trainer Joe Gallagher -who also operates in a management and advisory capacity for many of his fighters- was not happy about his man having to travel to Germany. Gallagher, however, is not happy about most things in boxing and often views his fighters constantly as the A-Side of a battle and deserving of multiple benefits. After boxing Erik Skoglund in Liverpool’s Echo Arena in the quarter-final, I don’t see why Smith shouldn’t go to Germany if that is where it has been agreed and that is where the money is. He will presumably be well paid to travel and Braehmer is not a wholly fearsome prospect to box against. Braehmer has often been held up as a heavy-handed box-puncher but there are some anomalies (like the vulnerable trio of Mario Veit, Andre Thysse and Omar Gonzalez who all lasted the distance) on a record that stretches way back to 1999. Yes, the German southpaw is nearly 40 and even though that means he carries plenty of ring nous, it also means he is showing the signs of a man who has competed in 303 rounds so far, plus a lengthy amateur career beforehand. My pick would be Callum Smith to prevail at 2/15 from Grosvenor Sport. I think Smith will prevail in around the ninth round. Braehmer may have been dropped and hurt by this point, possibly bleeding and definitely showing the signs of wear and tear, all after a reasonably competitive scrap suddenly started to fall away from his grasp.